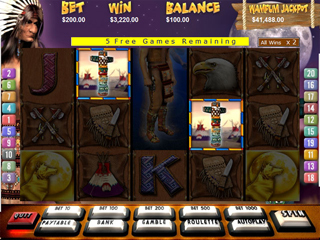 Win huge virtual bucks with Totem Treasure 2 - an American Indian themed slot machine game ? 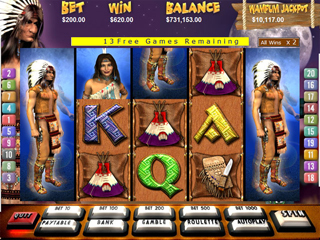 with the Wolf Feature and the huge Wampum Jackpot! 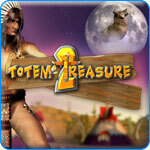 Totem bonuses abound and the mystical Golden Wolves may award you the biggest treasure of all - the Wampum Jackpot! Once again the totem smiles upon your wins - literally!